When you buy a new home or plan lock replacement for the purpose of improving the security of your house, you have to choose the ideal device for every door. This is not a simple task, especially given the many options available in the market. Still, with proper guidance and advice, you will be able to make the best choice. Follow the steps below to do this easily and quickly. 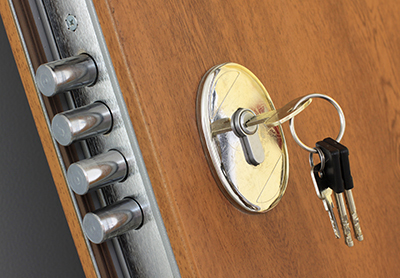 The main goal you have is to select a secure, functional and durable door lockset. For this, you need to do the following things. Define precise security requirements - The different types of locks provide a different level of security. The deadbolt devices are more secure compared to their standard latch counterparts, for instance. In the deadbolt category, the devices with double cylinder are more difficult to pick and break compared to the ones with a single cylinder. The specialists of Locksmith Burbank recommend that you take into account the level of security required for the specific door. Front doors, for instance, have to be more secure compared to those for the bathroom. Check the door specifications - Despite the common misconception, not all types of door locks will match all doors. The make, design and weight of the door will determine what type of locking device it can accommodate. It is best to refer to the owner's manual, if any, or to contact the door manufacturer directly. Consider flexible options - It is certainly a good idea to pick a device which can be rekeyed without the need for replacing all components. This is the more cost-efficient option especially in case of an emergency when lock rekey has to be done right away on the spot for resolving a serious problem. It can also help you achieve a higher level of security by changing the cylinders frequently. Looks are always important, especially when it comes to choosing devices for front and patio doors. Pick the right decorative style - The style of the lock has to match the style of the door and of the house as a whole. A minimalistic modern device will go excellently on a unit with glossy flush panels, for instance. Decide on the ideal finish - Gold has always been popular, but in recent years silver is the top trend. Bronze is beautiful and has antique appeal. Brass is attractive as well. Lastly, you should keep in mind that lock installation is also quite important for achieving the level of security and convenience that you require.